There is an old quote that says "the mouth is the window into the body." When animals have tartar on their teeth and gum inflammation called gingivitis, it definitely affects their overall health. There are bacteria that live in and on the tartar on the teeth, and these can get into the bloodstream through inflamed gums. When this happens (called bacterial showering) the rest of the body is exposed to those bacteria. Prime places for the bacteria to settle out and set up house is on the heart valves, in the liver, and in the kidneys. These organs are vital to normal bodily function, and bacterial colonies growing there is not good for the animal as a whole. The heart valves can develop bumpy lesions, a problem called valvular endocarditis. This leads to heart disease because the valves cannot close properly and constantly leak, which makes the heart work much harder than it should. This causes heart failure and difficulty breathing because of fluid that builds up in the lungs. Bacteria from the mouth that end up in the liver are there because of the liver's role as a blood filter. Sometimes the liver can get rid of and kill the bacteria, but not always. Animals can develop liver abscesses from these bacterial showers, and that can make them very sick, causing hepatitis and even liver failure which leads to death. The kidneys also have a filtering role, and are at high risk for receiving these bacteria from the mouth. In the kidneys these bacteria can cause an infection called pyelonephritis, which can lead to kidney failure, bladder infections, and if not caught early, death. We recommend and perform routine dental cleanings, as well as evaluation and treatment of other oral problems or dental emergencies. So... dental health really affects your pets' entire body in either a positive or negative way. If your pet has bad breath this may be a sign of dental disease. 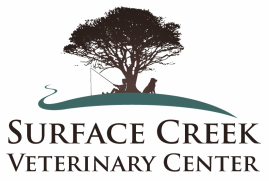 We do look at your pets' mouth when we perform physical exams, but if you have specific concerns please let us know or call to schedule an appointment to have this potentially serious problem checked out. Dental cleanings involve anesthesia, digital x-rays of the tooth roots and teeth, and ultrasonic scaling of the teeth followed by polishing. The digital x-rays of the tooth roots tells so much more than just looking at the teeth ever could. 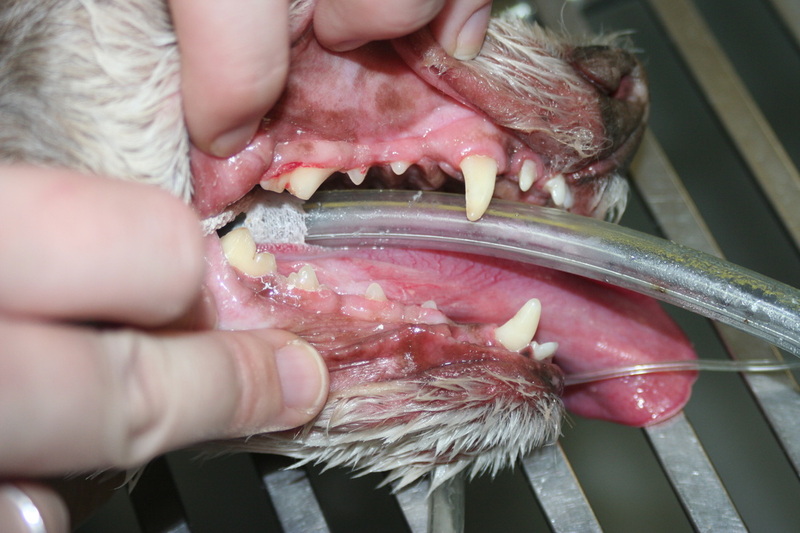 It allows the vet to see the invisible, what is happening under the gums. You may have a tooth that looks "perfect" but has an abscess at the tip of the root. Is your dog or cat going to tell you, "Hey, my 2nd premolar really hurts!"? No way. That is why the x-rays are so important. They allow evaluation of the whole mouth, not just the part that is showing. The next step in the process is the ultrasonic scaling. This is performed by a technician with a dental machine that emits ultrasonic vibrations that helps to dislodge tartar from the teeth. Some dental machines also have a special thin tip that follows the regular scaling, and can be used just under the gumline to remove any tartar there that may not be visible or accessible by the larger tool. This tool allows good cleaning of places under the gums that harbor tartar, and will allow the gums to reattach to the teeth. The polishing smooths any rough spots on the the teeth where tartar is likely to start forming. Tartar removed from the teeth usually leaves microscopic pits on the enamel of the tooth, which is a prime spot for the next batch of tartar to get started. 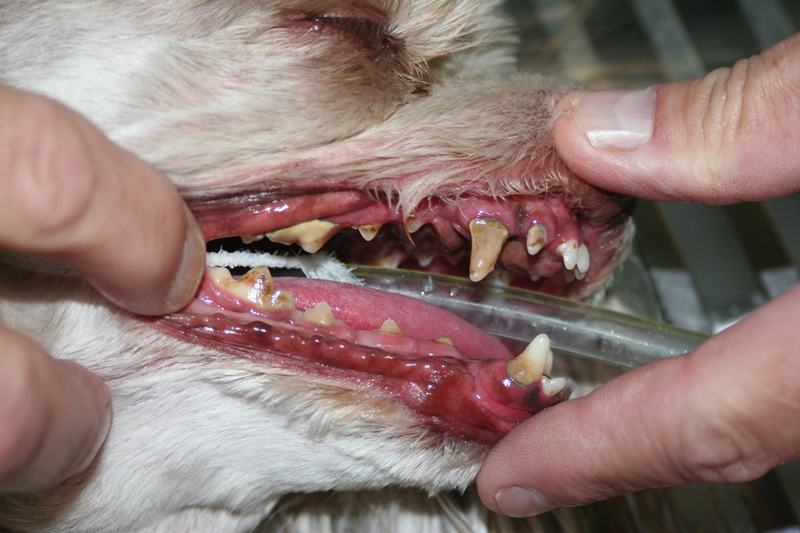 If your pet has any loose or abscessed teeth, these are removed so they don't serve as a source of pain or infection. Sometimes a tooth that has a large amount of tartar will have gum recession or pockets below the gumline, but a healthy root, and these we can treat with a substance called Doxirobe gel to save the tooth. This is a novel material that we can place around the base of the tooth and below the gum in any pockets, and it releases antibiotics over several weeks to keep the area free from infection while the gums heal and reattach to the tooth. We always give an injection of antibiotics when your pet's teeth are cleaned, and they may go home on antibiotics as well if infection was present or teeth were pulled. We are very excited about the new equipment that we had installed in March 2012! The digital dental x-ray machine allows us to evaluate the tooth roots that we cannot see and in the past have had to made educated decisions on or take whole head x-rays to visualize. It gives us the flexibility of digital, with the lower radiation levels as well. We can focus on one tooth root or several in one shot, and look for anything abnormal. We love this new tool, and it sheds a whole new light on your pets' teeth! We'll get some pictures up soon!